Do you need a bigger file? The file available on this site is 642 x 1024 px. To obtain an alternate file type or higher resolution copy, please contact the owning institution. 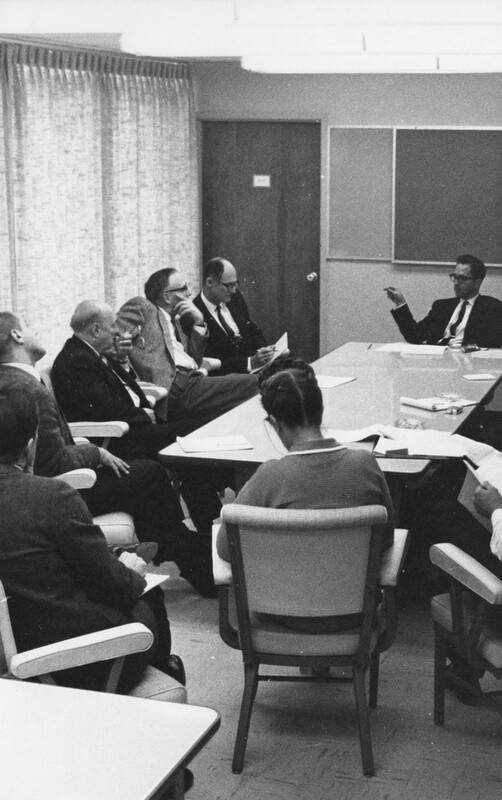 Scope/Content: Academic planning session, January 1965, interim office clockwise from lower left: Kenneth Ford, Bernard Gelbaum, Ralph W. Gerard, Edward A. Steinhaus, Samuel C. McColloch, J.W. Peltason, Marion Murphy.